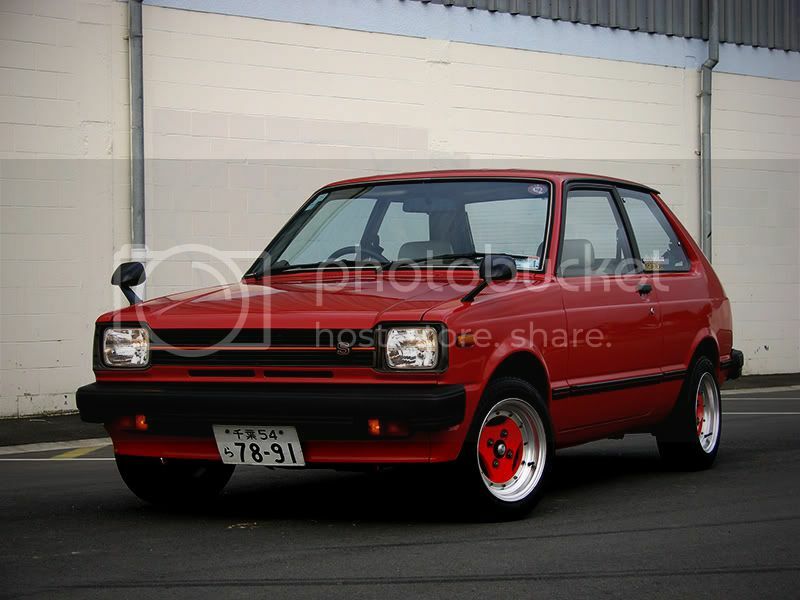 Those who know Richard on oldschool.co.nz or the other forums he’s a member of, are likely to be aware of his KP61 Starlet, the project is in the middle of a rebuild, lots of work has already been done and a lot of parts have been accumulated. Due to a move up country, it’s no longer receiving the attention it requires and the time has come for it to be sold. If you’re into Starlet’s and want one that’s not been destroyed by retards then this car is for you. Yes, it is that car. That’s not a sample picture and that’s BEFORE it was getting some more things tidied up on it. For more information on the car you can check out the build thread and to see comes with, the for sale thread on oldschool.co.nz. - current status is a rolling shell with full interior fitted. - I have just had the engine bay completely repainted, smoothed, battery tray, voltage reg bracket and other unnecessary brackets deleted. All filled with steel, not just bogged up. Painted to suit exterior. - brand new lower arms, all new front end bushes and brackets refurbed and powdercoated. - spare stock carbs, manifolds (intake and exhaust), alternators, starter motors, rocker covers, 1x 3K shortblock, bumpers, door seals, windscreen seals, the list goes on. SO much more I have forgotten – it’s all sitting out at my folks still. There is almost definitely lots more BRAND NEW PARTS I have neglected to mention. You will be hard pressed to find a tidier flat front type KP61 in NZ. Essentially you are buying a heap of quality parts and are getting a super straight, tidy KP Starlet rolling body with very tidy interior for free. Negotiable depending on what parts supplied and no parts sold separately until car is sold. Good luck with the sale, Ricardo. Hopefully the new owner shares your attention to detail. do you still have the car for sale? ?